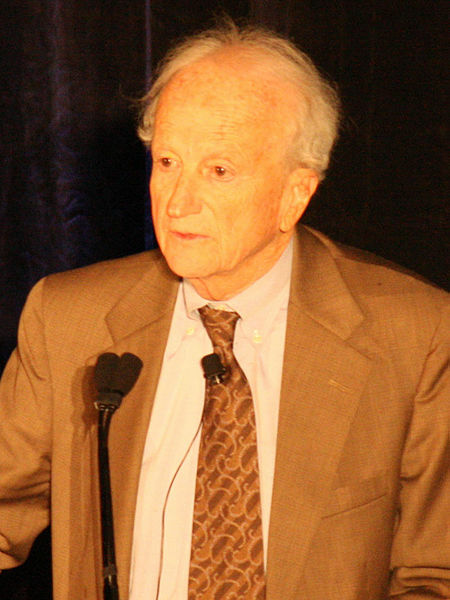 Gary Becker has died. Here’s John Cassidy “postscript.” And here’s the NYT’s obit. Personally, I liked the frankness of his approach as encapsulated in the articles he compiled in The Economic Approach to Human Behavior. My personal favorites were “A Theory of Social Interaction” and “Time and Household Production,” which are as close to Marx’s historical materialism and labor theory of value as economists can get without even knowing it. He was absolutely correct in implying that, in our society, the size of the actions that individuals take — to produce, consume, trade, vote, abstain, help others, elicit help from others, struggle politically, and accept things passively — is the measure of how much we truly appreciate life, humanity, freedom, and all that. He didn’t care much for the fact that not all individuals are endowed by prior history with equal powers, wealth, or privilege. Inequality, in all its most horrendous manifestations, didn’t faze him a bit. But his views were not cynical. They were rather the naive, but honest, vindication (by a true believer in the virtues of inequality, markets, and exploitation) of the formidable ability of this capitalist society of ours to negate our humanity. When my students would ask me in class, “Why do economists seem to hang a price tag, a dollar sign on the most precious and intimate aspects of our lives? Why is it that economists reduce all human actions to a calculus of monetary costs and benefits?” they were referring to the kind of views that Gary Becker most lucidly articulated. My answer, of course, was that the economists do not have that kind of power. They don’t. The tail doesn’t wag the dog. It isn’t the economists, but capitalism that does all that, and then worse. The economists (and nobody better than Becker and the other Chicago Boys) are only registering the facts of life established by capitalism and stating them in the clearest possible terms.